ECU graduates automatically become members of the alumni community. Your links to university don’t end with your graduation. Tap into the ongoing networking and support services available through ECU’s global alumni community. ECU’s global alumni community is a great way to keep in contact with all those people you met through your university years, as well as developing new contacts. ECU graduates are invited to a variety of social events and activities every year, giving you the chance to connect with just some of ECU’s 140,000 alumni members. Matthew Allen graduated with a Bachelor of Business in 1996 and is now the CEO of the oil and gas company, Otto Energy. “I joined ECU’s Alumni Association as for me the network of contacts that you build, and the lifelong friends you make at university, made the experience. My best mate is a friend I met at ECU; these people make the difference,” he said. Alumni are invited to the popular Music Under the Stars concert. The regular alumni networking events have helped graduates to progress in their chosen career. ECU alumni are often called on to talk to current students about their careers and to give an insight into their particular industry. Tony Dolan, who graduated in 2002 with a Masters in Clinical Nursing, is now Director of Nursing Services at Sir Charles Gairdner and Osborne Park Hospitals. “As a past student I wanted to reach out to shape the nurses of the future. I helped to establish a joint appointment with Sir Charles Gairdner Hospital and Edith Cowan University for an Adjunct Associate Professor of Nursing,” he said. ECU Alumni Advantage members can continue to use ECU libraries – for free. As an ECU alumnus, you’ll be entitled to a range of rewards and services at heavily reduced rates. This includes discounted membership of both the Australian Marketing Association and the Australian Institute of Management WA, reduced rates for vehicles from Thrifty Car Hire, and discount on membership at ECU Sport and Fitness. 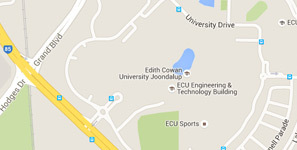 ECU is the only university in Australia that offers alumni life-long and free access to a service like CareerHub. CareerHub is a 'one-stop-shop' for career planning and job search resources for both current students and alumni. If you want more personalised advice, you can make an appointment with a careers advisor. More career advice and resources can also be accessed via the Alumni and Supporters web pages. Keep in touch with ECU’s global alumni community by ensuring your details are up to date, or follow us on social media.